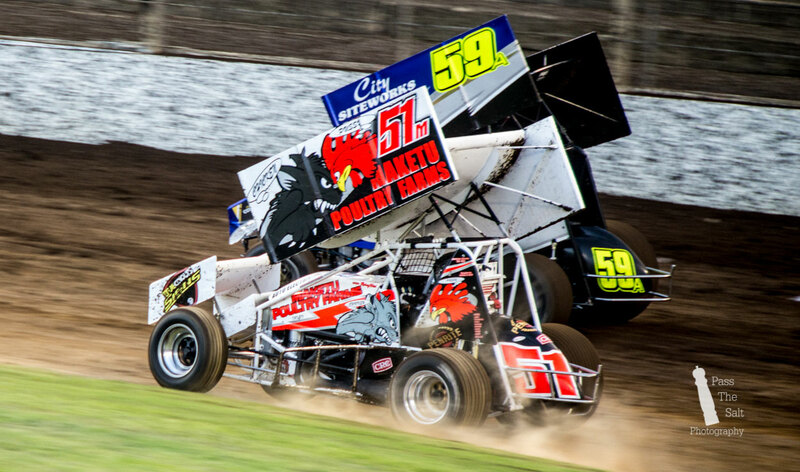 Springs Speedway final night write-up with my top photos from the nights events. 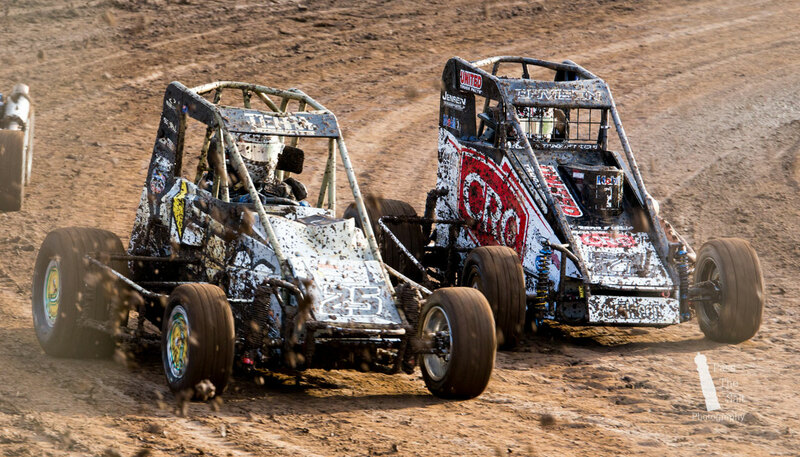 Springs Speedway March 18 th Final Meeting. I arrived on time for the last meeting of Speedway to be held at Western Springs. From the sight of the carpark alone I knew it was going to be a good one. 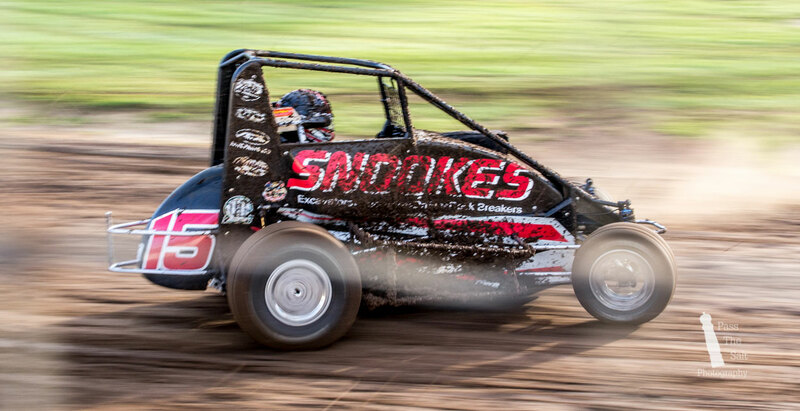 I was excited to get started with my last speedway photo session at Western Springs for the season. For the entire season I got good parking near the entrance yet on this night the closest I got was near the very back of the field. The spectators had arrived en masse. Walking around the stadium to our usual seating, the excitement level from so much people was a physical thing. Every aspect is magnified when it’s shared with thousands of people and really enhances the experience. The track conditions were less than ideal. Be it the recent downpours in Auckland or just inadequate surface preparation, it was plain to see the cars were not enjoying it. Never before had I seen a two lap pre-race in my time with Speedway. 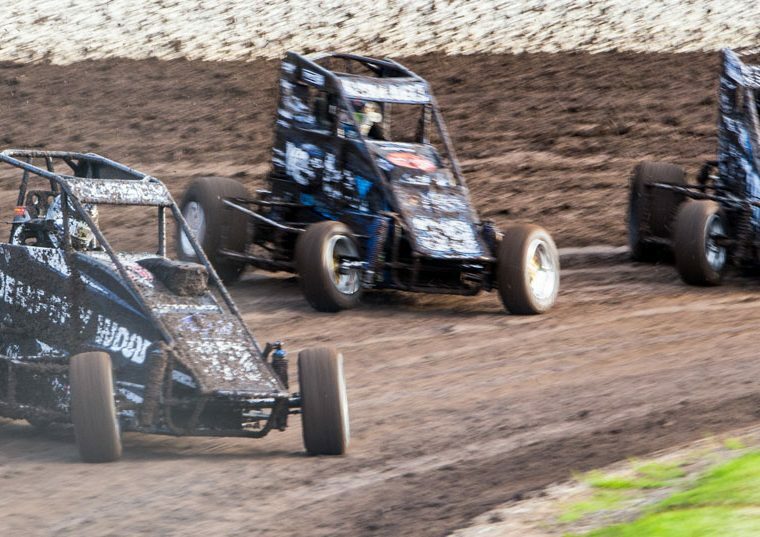 The field of cars ran full pelt around the track for two laps then got slowed on a flag and then the race started proper. I believe it was to help settle down the track and make it better for racing but I’m sure someone will point out that it was for something else entirely. I am still learning the many aspects of Speedway but the process is part of the fun. 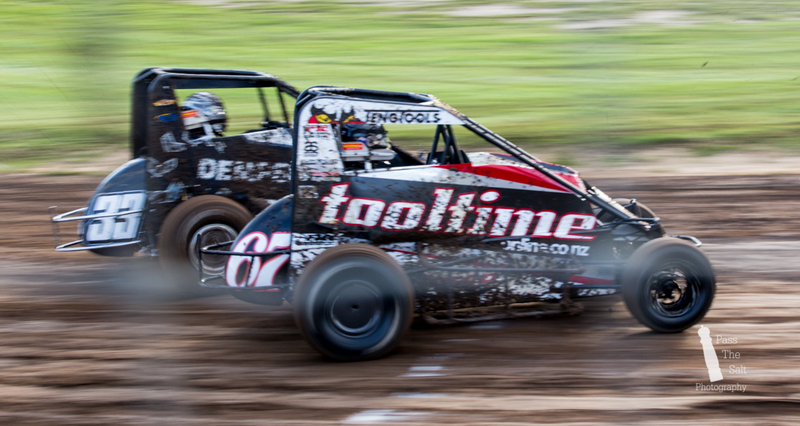 Within a few laps the cars were unrecognizable from the front and side. The amount of mud flicking from the front cars was something new to me again. If you weren’t leading the pack you’d be coated from front to side in thick mud. How the driver’s didn’t run out of tear-aways on their helmets is beyond me. 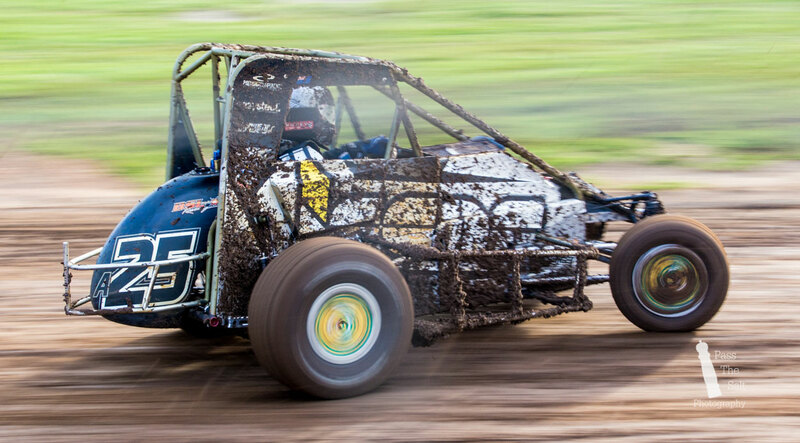 I feel for the pit crews having to clean the cars after the mud bath. 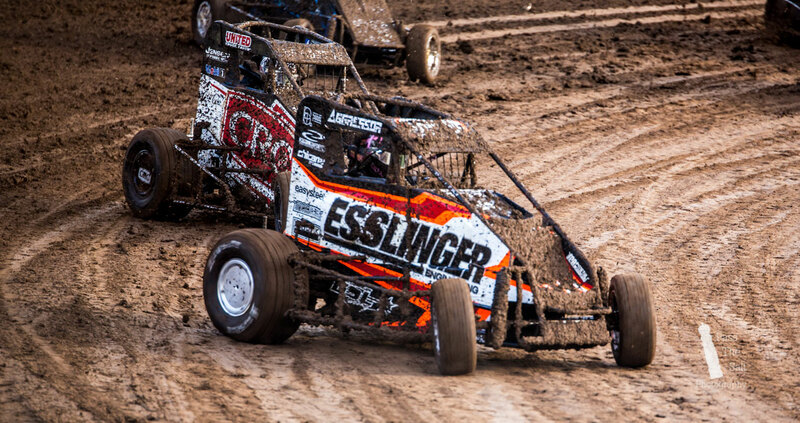 The mud created a very slick track and the first few races were almost comical. We could see something was wrong when the Pace Ute was drifting around the bends with the driver wrestling heavily with the steering wheel. Once the race was underway the pace of a usual race was about halved. The cars were just fish-tailing and breaking traction with the slightest provocation. It nearly turned into a mud bumper car race with the drivers scrambling to avoid each other on every corner. 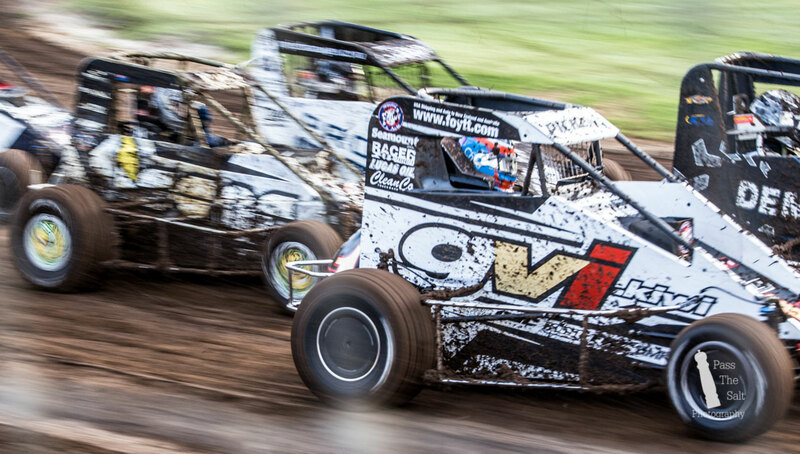 Eventually the track settled down and the pace increased as more cars compacted the dirt. 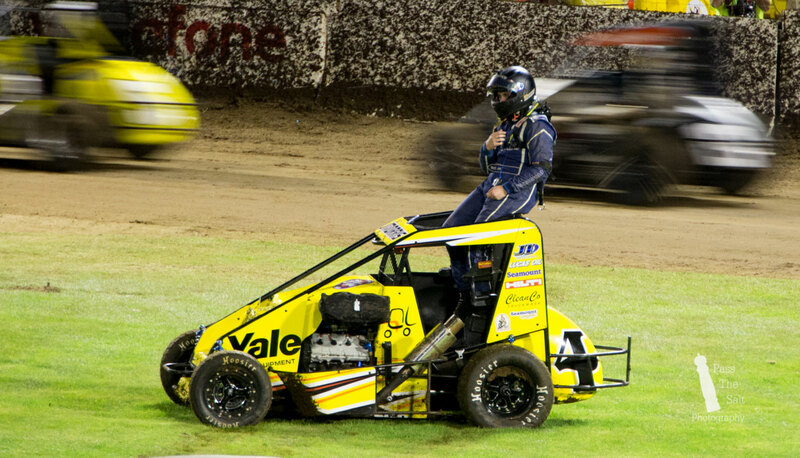 On the overall the night had some exciting racing when the yellows weren’t out. There was a heart breaking amount of carnage that plagued most classes. 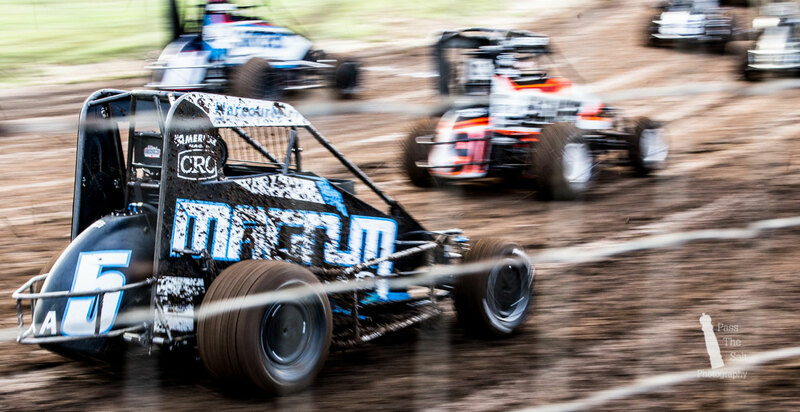 Nearly every class was involved in a serious crash and the Sprints got into a 5 car pileup. Thankfully all the drivers walked away from their crashes and not in an Ambulance. 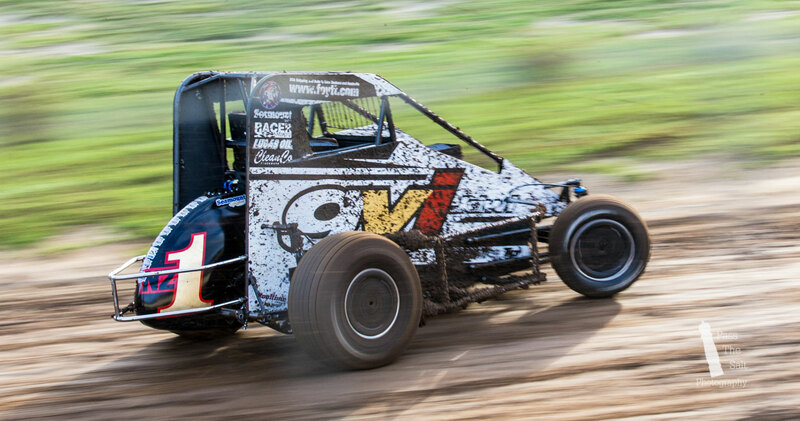 I enjoy Speedway for the level of driver skill involved and the fast pace of the action. I understand how expensive their machines are and the hard work of their crews working on them. Many of the teams are running on a hairline budget so any damage is always sad to see. After this night, many crews will be scrambling to get their cars fighting fit again. I wish them the best and hope the sponsors are feeling generous. Photography wise I had a decent night. 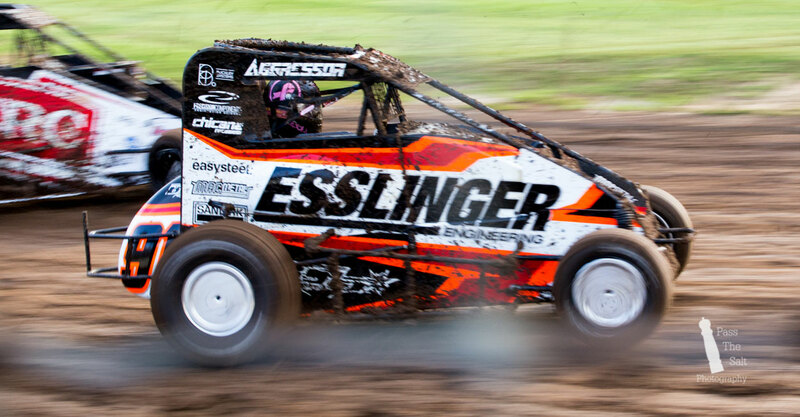 I risked some shots at the fence but before one Midget race was done my camera and I were covered in mud. It was plastered all over the camera and lens and all over me. Some even managed to get down my hoodie. I walked away from the fence after that complete with a 3 inch layer of mud at the bottom of my shoes and decorated like a Christmas tree. The rest of the night was shot from the safety of the high bleachers. I enjoy a bit of mud and dirt in my eyes but my camera is not so forgiving. It was great to see a number of new cars on the field from different classes. 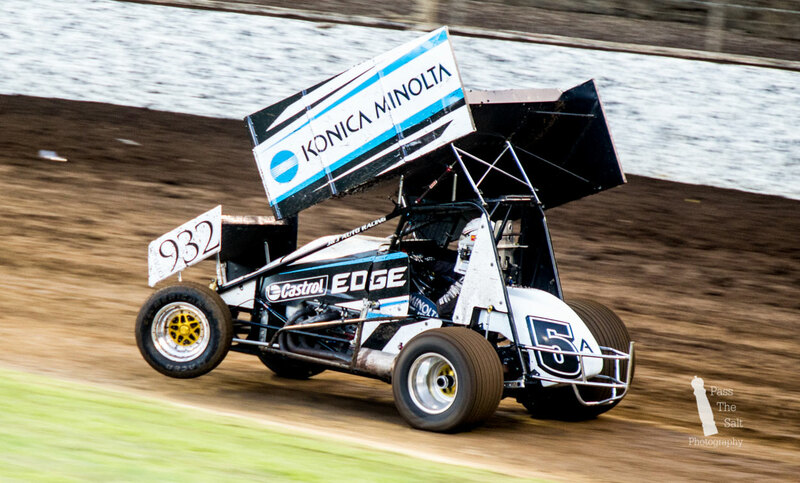 My personal favourite was the legend in the 21W Sprintcar who was heavy on the gas from the get-go. 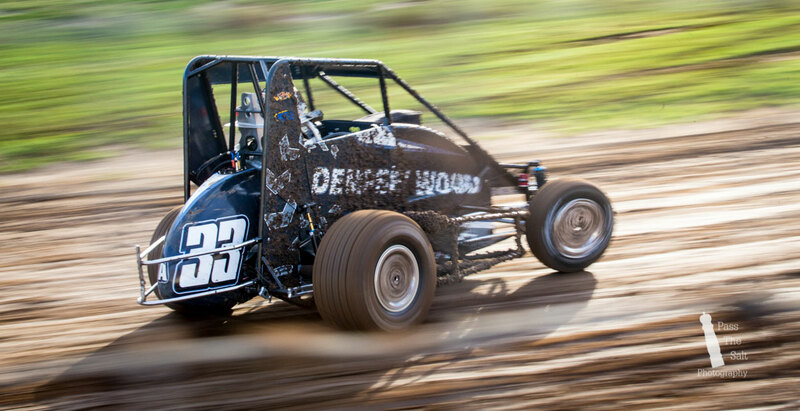 He had his Sprintcar on two wheels more often than anyone else I have seen. He was definitely going for it and trying to get an early advantage. 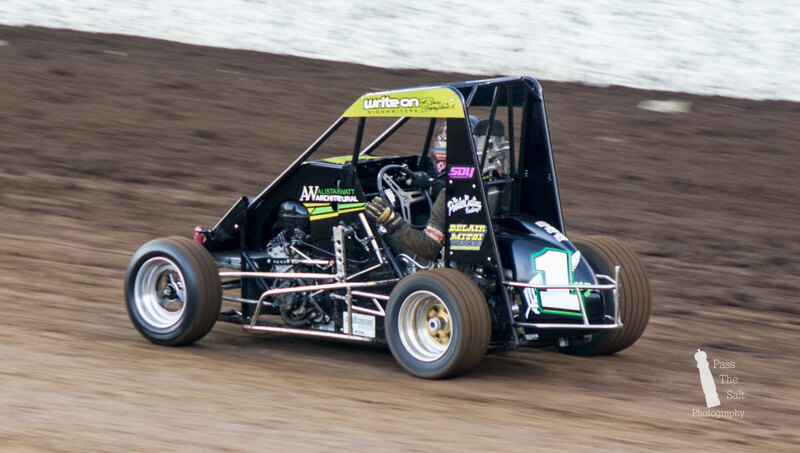 Before long the evening was done and with that the end of the Speedway Season for Western Springs Speedway. 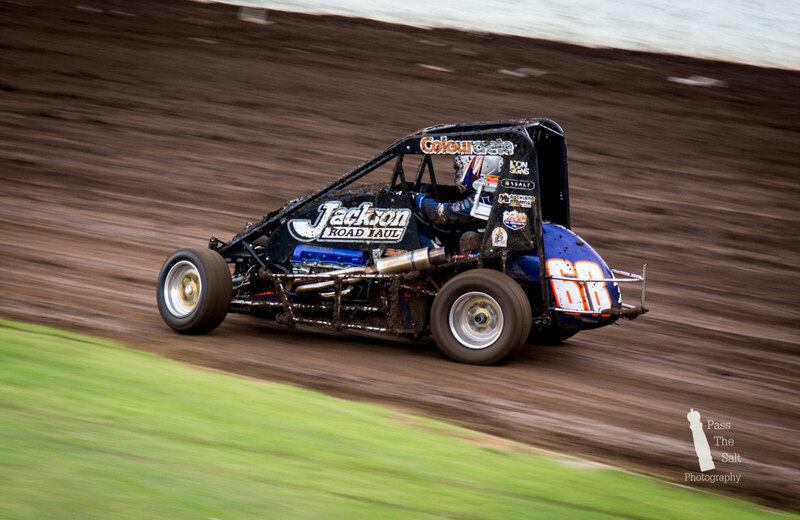 I had a great time here over the season and got to see some amazing racing from truly talented drivers. The American visitors were a particular highlight as they gave our Kiwi drivers a real run for their money, one notable example being Spencer Bayston. 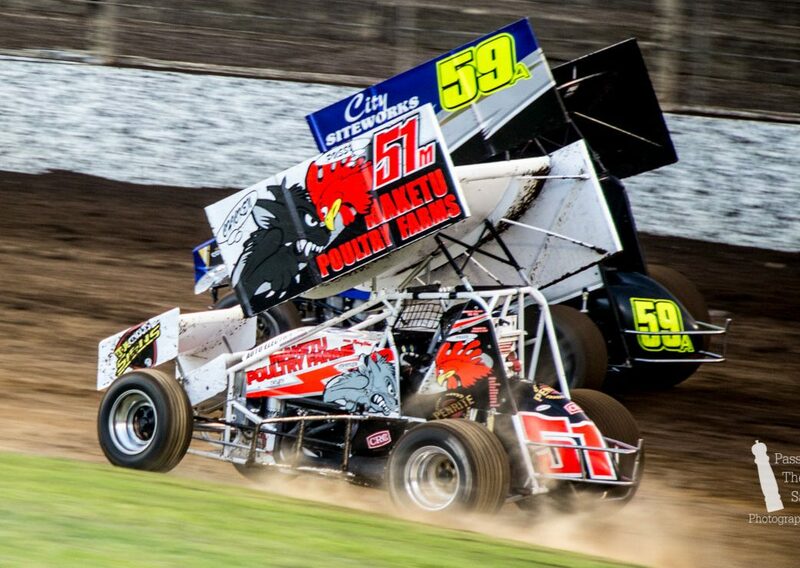 I hope he returns next season for another go on Kiwi Dirt. Maybe claim that 50-lapper win he so narrowly lost. 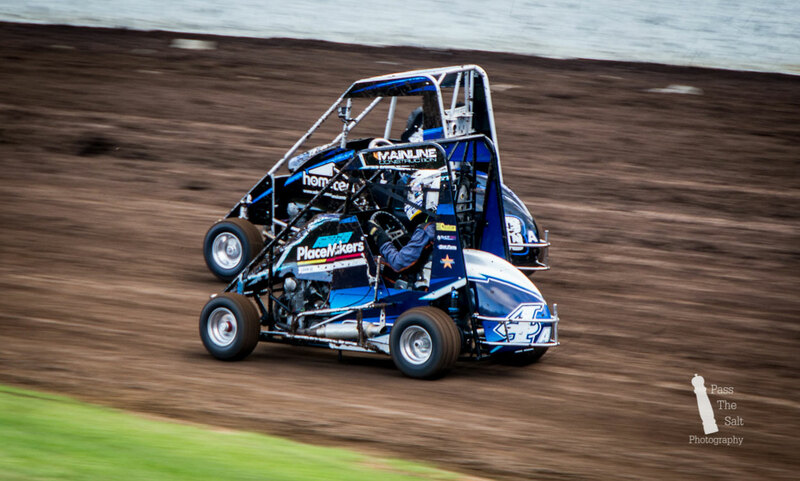 Thankfully the Speedway Season is not overyet so I hope to provide some more coverage from tracks around the North Island as the year goes on. I hope you enjoy the photos. A bigger album will be on my Facebook profile soon.  It is with great pleasure that you are our Speedwaydownunder official photographer.Your work ethic and proffesialism is second to none.Your level of expertise taking speedway photographs has grown in leaps and bounds since you started at the beginning of the season 2016/17 for SDU.And I thank you so much for your tireless efforts with your photography,filming and editing and speed creating such awesome photos and footage for all of us here at SDU. Sure we have a few meetings left this season and I’m more excited for what’s instore next season that you will undoubtedly provide us.We are lucky and privileged to have you on our team.